The A.V. Club live-blog is happening here. 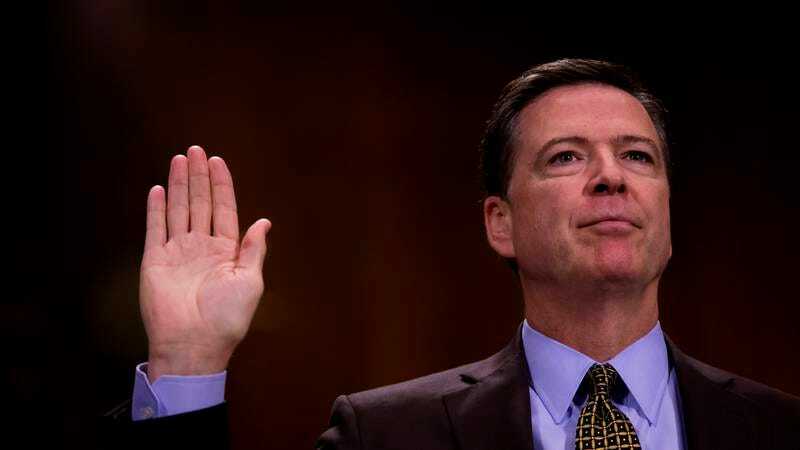 Former FBI director James Comey is on Capitol Hill as we speak, preparing for his highly anticipated testimony before the Senate Intelligence Committee on the circumstances surrounding his departure from the FBI and how that might relate to the investigation into the Trump campaign’s potential ties to Russia. Maybe he’s reviewing his opening statement, maybe he’s trying to dodge the legions of reporters milling around the building, or maybe he’s locked himself in the bathroom with a bad case of the nervous tummies. We can’t say for sure. But what we can say is that we’re having trouble concentrating on much of anything else—particularly after the sneak preview Comey delivered yesterday—and so we will be live blogging the Comey hearing here on The A.V. Club starting at 10 a.m. ET /9 a.m. CT. If you’d like to follow along, the Comey hearings are airing live on MSNBC, CNN, and Fox News (duh), as well as CNBC and Fox Business Network. ABC, CBS, NBC, and our corporate parent Univision will also be interrupting their previously scheduled broadcasts to air Comey’s testimony. If you don’t have cable, C-SPAN is live streaming the whole thing on its website, and NPR will be playing Comey’s testimony over terrestrial and internet radio. See you on the other side, pals.